Events take a darker turn in this middle third of our story, as the ill-fated lovers face the reality of their situations. You would think that falling in love would be easy and joyful, but in those times and under family and societal pressure, Woo-jin and Shim-deok’s romance causes more pain than happiness. They’re swiftly approaching a breaking point, and will face decisions that will change their lives in drastic ways. Woo-jin finds Shim-deok waiting outside when he’s released from jail, after having been arrested for a rebellious line in his troupe’s play. She cries when she sees that he was beaten, but Woo-jin says he’s fine and gives her a smile that leaves her flustered. Shim-deok’s family happens to live nearby, so Woo-jin walks her home. Her parents are still awake and invite Woo-jin inside, and her curious younger brother Ki-sung asks what his relationship is with his sister. Woo-jin searches for an answer, but Shim-deok’s little sister Sung-deok grabs her brother by the ear and yanks him out of the room. When they’re alone, Woo-jin tells Shim-deok that he likes her family, and that it must be difficult for them with her away in Tokyo. Shim-deok says his family must feel the same way, then she moves in closer to put some medicine on his cuts. She realizes that Woo-jin is staring and gets lost in his eyes for a moment. When he feels better, Shim-deok says she wants to take Woo-jin somewhere. On the way, they see a lady wearing a fancy cloche hat. Shim-deok says she couldn’t wear one herself because they’re too modern and not very pretty, but Woo-jin says that he likes them. They stop to look in a store window, where a record player is playing music. Shim-deok recognizes the song as “Waves of the Danube” by Ion Ivanovici, her favorite song, and Woo-jin says it’s beautiful. They end up at an opera house, and Shim-deok tells Woo-jin that singing in front of a real audience was nerve-wracking, but it made her realize her dream — to be the best soprano in Korea, and perform on this stage. She asks Woo-jin if he would come see her so she wouldn’t be nervous, and he promises that he will. Shim-deok’s stomach growls loudly, and she gets embarrassed and says she’ll buy dinner. At the restaurant, she asks Woo-jin about his own dream. He says he’s never thought about it, but that he’s happiest when he writes, and others read his writings. He says he’d like to write until his last day, but when Shim-deok says he can, he looks a bit sad. After eating, they go back to the police station, and Shim-deok starts throwing pebbles at the building. Woo-jin grabs her wrist, asking if this is a joke to her — then brandishes the huge rock he’s holding in his own hand, HA. He hauls off and breaks a window, grinning with satisfaction. He and Shim-deok run for it when the police come out yelling. Shim-deok has to stop and gasp for breath, but the police are close, so Woo-jin takes her by the hand and they keep going. They lead the police to an alley and duck behind a wall, and they both grow serious when they notice how close they’re standing. Shim-deok realizes that Woo-jin is still holding her hand and tries to pull away, but he just grips her hand tighter. He leans down, and she tips her face up to his, giving him the green light to kiss her. But when he’s a mere inch away, Woo-jin backs up and walks away, leaving Shim-deok wondering what just happened. While they wait for Woo-jin’s tram, Shim-deok suggests they speak banmal with each other since they’re the same age. Woo-jin says in jondae, “Later,” and Shim-deok says shyly that she has something to tell him when they get back to Tokyo. Woo-jin tells her that he invited the troupe to spend the night at his home in Mokpo before returning to Tokyo. He asks her to please join them and she just smiles, then his tram arrives and he leaves. Shim-deok looks thrilled, but for some reason, Woo-jin seems troubled. On her way home, Shim-deok sees a black cloche hat in a store window and she mutters that it’s really not pretty. But she’s wearing the hat when she arrives at the train station to travel to Mokpo, looking quite pretty in it. Woo-jin definitely notices, but after staring at her for a moment, he looks away with a guilty expression. When the troupe arrives at Woo-jin’s family’s home, Shim-deok is surprised to learn that he isn’t poor like she’d assumed — he’s the eldest son of the wealthiest family in Mokpo. A beautiful young woman in hanbok greets Woo-jin formally, and Woo-jin introduces her to his friends. She addresses Woo-jin as “Husband,” and Shim-deok’s heart sinks as Woo-jin looks at her with regret. That evening, the troupe has a silly little “disbanding ceremony” to commemorate the end of their tour. Shim-deok is called on to sing, but she’s still dazed and hurt, and to his credit, Woo-jin looks as if he feels terrible for doing that to her. She misses her music cue and claims to be hoarse, so Myung-hee lets her off the hook. Nam-pa plays a duet on his violin with Ki-joo on piano, and during the song, Shim-deok quietly slips away. Woo-jin sees her go, but he doesn’t attempt to stop her. She removes the cloche hat and leaves it in her room, and takes her bag and leaves. The rest of the troupe leaves in the morning. Ki-joo wonders why Shim-deok left a note saying that she suddenly had to go home, and Nam-pa shoots Woo-jin a pointed look, saying that she must have had a good reason. Woo-jin goes in the house and finally faces his father, who’s very unhappy that he’s been writing literature and “running around with clowns.” He orders Woo-jin to remember that he’s the eldest son and heir to the family business, and Woo-jin’s fingers curl as he meekly agrees. Woo-jin’s wife, Jeom-hyo, brings Shim-deok’s hat to Woo-jin. She asks him not to do things his father hates and to dedicate himself to the family business as soon as he finishes school. Woo-jin asks Jeom-hyo if she finds it exhausting to live a life all mapped out for her, but she says she’s never thought of it that way. Four months later, after Woo-jin returns to school, Shim-deok finds him to talk. She says she’s going back to Korea in two days and wanted to say goodbye. As they walk, a young newsboy runs through the street tossing newspapers announcing that Arishima Takeo, the author whose book Woo-jin was reading when Shim-deok first met him, committed double suicide with his lover (she was married, and her husband discovered their affair). Troubled, Shim-deok asks why the forbidden lovers didn’t just end their relationship. Woo-jin says that the loneliness they’d faced must have been terrifying. Shim-deok replies that you eventually forget, and she holds out a hand to Woo-jin. He takes it, wishing her well, then watches her walk away. Having graduated school, Woo-jin now works for Sangseong Unlimited Partnership, his family’s company. One day he sees a photo of Shim-deok in the newspaper announcing that she’ll be performing at the theatre where she’d dreamed of singing on stage, and he remembers his promise to attend. While getting ready for her performance, Shim-deok thinks she hears Woo-jin’s voice calling her name. But there’s nobody there, and she tells herself that of course he won’t be there. She sings for a packed house as memories of Woo-jin flit through her mind. Halfway through one song, Shim-deok spots a familiar figure on a balcony, leaving the theatre. She abandons her microphone, runs to the lobby, and keeps going out to the street, looking desperately for Woo-jin. Shim-deok asks if Woo-jin has a few minutes to talk, but he stops her and says she should change out of her ball gown so she doesn’t trip. When she’s back in her clothing, they walk together, and Shim-deok says that she’s kept in touch with Myung-hee, who tells her that Woo-jin is too busy to answer his letters. Woo-jin says that Myung-hee always asks in his letters if he’s still writing, but he can’t bring himself to reply that the only writing he does these days is signing documents. Shim-deok thanks him for remembering his promise to see her sing, and he smiles, joking that she didn’t seem nervous enough to need his support. Shim-deok admits she’s not nervous, but that seeing him made her heart race, and she worries he might leave. She says she’d thought she’d forgotten him, but seeing him in the audience proved that she’ll never forget him. Tears fill her eyes, and Woo-jin steps forward to hug her. He says they’ll leave things at this, and Shim-deok’s hands come up to hug him back. Before they part, Shim-deok tells Woo-jin she’ll write to him — and unlike Myung-hee, she expects him to answer, because she loves his writing. While cleaning Woo-jin’s desk, his wife Jeom-hyo finds Shim-deok’s hat, which he never returned, and his poem wishing he were a child again. Although Shim-deok gets some work as a singer, she’s not getting good work, and she struggles to support her family with the little she earns. She’s told that many people can’t relate to classical music, and it’s suggested that she try singing songs that the people find more familiar. She writes to Woo-jin as promised, but she lies that she’s doing well and getting lots of jobs. He writes back, telling her that he writes whenever and whatever he can. He occasionally visits her hometown, and the more time they spend together, the deeper their forbidden love grows. One day, Woo-jin’s parents tell her that the son of a wealthy family wants to marry her. She refuses, but she can’t tell them that she’s in love with a married man. Her father is too sick to work, and he asks her to do this for him, as the man has promised to financially support her family. Distraught, Shim-deok puts away the letter she was writing to Woo-jin and runs out of the house. He takes a call from her and rushes the Mokpo train station where she’s waiting for him, and she flings herself into his arms. She says she came because he wrote that he missed her, and he gives in and hugs her back. They walk on the beach, and Shim-deok says that she came because Woo-jin’s father scolds him every time he goes her her hometown. She asks him to hold her and beg her not to leave, and Woo-jin asks what’s really going on. Shim-deok tells him about the marriage offer, and how the man’s family has offered to take on financial responsibility for her family. She says that if she’d told him she was having money problems, he’d have given her what she needed, but she’d have felt ashamed. She begs him to ask her to run away with him, crying now, but Woo-jin can’t make himself say the words. Woo-jin walks home after seeing Shim-deok off, and he finds Jeom-hyo waiting to tell him that his father wants to speak with him. Woo-jin says he wants to be alone for a bit first, and Jeom-hyo asks in a tense voice if he plans to be up all night writing again. When he finally goes in, Woo-jin’s father says that the office called him to say that Woo-jin wasn’t there today to sign an important document. He brings up Woo-jin’s frequent trips out of town, assuming that Woo-jin is hanging out with the theatre troupe, and he forbids Woo-jin to leave town again. Woo-jin says numbly that he doesn’t need to go anymore. He goes to his desk and opens the box where he keeps Shim-deok’s letters. He re-reads one, in which she wrote about how much it hurts to read his letters, because she misses him so much. Meanwhile, she meets with the man her family wants her to marry, KIM HONG-KI (cameo by Lee Sang-yeob). He visits her family, and Shim-deok has to be prompted to walk him to the road. Hong-ki tries to hold her hand, but she yanks it away, then apologizes and explains that she’s not ready. Hong-ki says that he’s embarrassed, but since he likes her more, he’ll be patient. After he leaves, Shim-deok looks down at her hand and imagines Woo-jin taking it. She smiles up at him, but he soon disappears. Some time later, Woo-jin’s father is given a letter that was sent to their home but addressed to Kim Soosan (Woo-jin’s pen name). He finds Woo-jin drinking a bit heavily after a difficult work day, and he tosses the literary magazine that was delivered on his desk. He says that Jeom-hyo told him Woo-jin comes straight to his home office every day to drink and write all night. He reminds Woo-jin that he forbade him to write, yet he’s been writing anyway, and even had his writings published in magazines. He accuses Woo-jin of rebelling against him, but Woo-jin stays calm. He says that he’s done everything his father wanted — get married, attend agricultural school, and work for the family company. He asks exactly how he’s rebelling, and his father nearly has a stroke at his nerve in talking back. Getting emotional now, Woo-jin says that he’s his son, but he’s also a human being with free will and his own thoughts. For the first time in my life I chose to go against your will. This episode was so much sadder than the first, but then, I knew it would be. This is a story where we know the ending ahead of time, so it was inevitable that we’d have to watch Woo-jin and Shim-deok’s love cause them some pain. I wasn’t expecting them to have such a long separation, or to struggle so hard against their feelings when they were able to be together, but I do respect them for trying not to cross that line. Woo-jin especially attempts to pull back whenever he feels himself getting dangerously close to committing physical adultery, but neither he nor Shim-deok can help what’s in their hearts. It’s difficult to watch, because I don’t condone physical or emotional cheating, but it seems pretty clear that Woo-jin only married to satisfy a criteria of his father’s and that he’s never loved his wife. Still, he’s a good person for trying to be faithful, even when Shim-deok gets too emotional and begs him to just run away with her. I knew that Woo-jin was married (it’s a true story after all), and I can even understand why he didn’t tell Shim-deok for a long time — honestly, it shouldn’t have been an issue at all, and wouldn’t have been if they’d simply remained friends. I do appreciate that he tried very hard to avoid falling for Shim-deok, and he stopped himself before taking things too far with her before telling her the truth. But the way he let Shim-deok find out that he’s married, by inviting her to his home and letting her be blindsided by meeting his wife, was pretty cruel. Woo-jin knew at that point that Shim-deok had feelings for him, and he had plenty of chances to tell her that he was married and avoid her being shocked and humiliated in front of the entire theatre troupe. But I can’t be too angry with him, because as this episode progressed, you could see Woo-jin dying inside little by little. He’s no longer the cheeky guy who teased Shim-deok over noodles and stood up to the police. He’d harshly shocked the woman he loves with the knowledge that he’s married, then his father forced him to take over the family business as soon as school was over, regardless of what Woo-jin wanted. At this point, Woo-jin literally has nothing to live for, with the two things he loves most out of reach. It’s no wonder he finally broke and yelled that he’ll die this way, because his soul is literally dying under the constant pressure. Woo-jin already lives so much of his life internally, but with the reminders that he’ll never have anything he loves, his eyes just look dead and hopeless, and it’s heartbreaking. The end of this episode took my breath away. I know I said that I don't like Lee Jong Suk, but sometimes, such as that moment, I was blown away by his acting. I can imagine his pain vividly. Her family story is fascinating. Wonderful, thanks for sharing. I didn’t quite understand how Shim Duk got to study in Japan with a family who did nothing to support her (according to the drama) but it turns out her family was very modern for the times. This clarifies the history behind her tragic story. @pakalanapikake @marcusnyc20 @kiara I think you would enjoy this too. I got so interested in the history of Youn Shim Deok but can’t seem to find much and this article shed much light. Thank you! Though, it seems like the drama and the account don’t match..as in their parents isn’t like what is shown in the drama, also there wasn’t any mention of ShimDeok’s older sister. But drama is drama anyway. I wonder if there would be a biography written about ShimDeok eventually. Except, dang it, Lee Sang Yeob is the unsuccessful suitor once again. Humph. It was also nice to see Shin Jae Ha, though I wish I could have liked his character. It is a very heartbreaking story...but beautiful at the same time. LJS does phenomenal in this (imo). He finally took a role that allowed him to show his emotional range. I also didn’t like how he just blindsided her with the knowledge that he was married. Imo I don’t think he really held himself back. He would spend time with her and was flirty and comfortable. He *did* stop when things went to far, but the damage had already been done. I feel sad for both Woo Jin and Shim Deok. She has to bear the weight of supporting her family as a woman and a singer. They are very pushy on what she needs to do and how she needs to take care of her family. Woo Jin doesn’t have any control. I don’t even fault him much for falling in love with Shin Deok. He’s in a loveless forced marriage and she seems there more for his fathers comfort than for Woo Jin. The quest for freedom of conscience and belief, for which thousands of Korean Christians had earlier lost their lives at the hands of their fellow countrymen, is paralleled by the toll exacted upon Woo-jin's soul by his father's patriarchal demands. His own family's expectations are killing him as surely as the Japanese overlords are killing Korean independence fighters. It's interesting to me that we see a man whose life is being extinguished by the very institution that is usually depicted as being so suffocating to, and dismissive of, women. This isn't the first time that the male downside of filial piety has been depicted in Kdramaland, but it's rare enough that it effectively underscores the clash between the old order and the modern age in 1920s Korea. In a further mirroring, Shim-deok's father asks his eldest daughter to marry the scion of a wealthy family who will provide them with financial support after he becomes too ill to do so himself. I guess it's better than selling her to a gibang or sending her off to Ming as tribute. At least she got to decline, but it's probably not the last she'll hear of the proposal. Aside from being in love with another man, it would mean the end of the singing career she had worked so hard to launch. As for the adultery issue, maybe it could have been avoided if Woo-jin had spoken up earlier, but I really don't think so. The crux of the matter is that he and Shim-deok are Kindred Spirits Separated By Circumstance. Cue up “Innyeon” from THE KING AND THE CLOWN and wait for the next incarnation. I think the writer did Shim Deok family dirty, because she and her sisters were all highly educated in times where women's education weren't valued at all. And the show didn't mentioned that Woo Jin had children too, it would mared their love story I guess. @shach, I hadn't thought about Sim-deok and her sister being educated back then, but you're right. It would have been unusual for most women in the US at that time, unless they were becoming teachers or nurses. As for Woo-jin's having offspring, that goes without saying. Popping out the next generation of heirs was his job as eldest son. Gotta keep the family line going. Thank you for your analysis @pakalanapikake! It's interesting that the drama purposely chose to show Shim Deuk as suffocated by tradition and family. 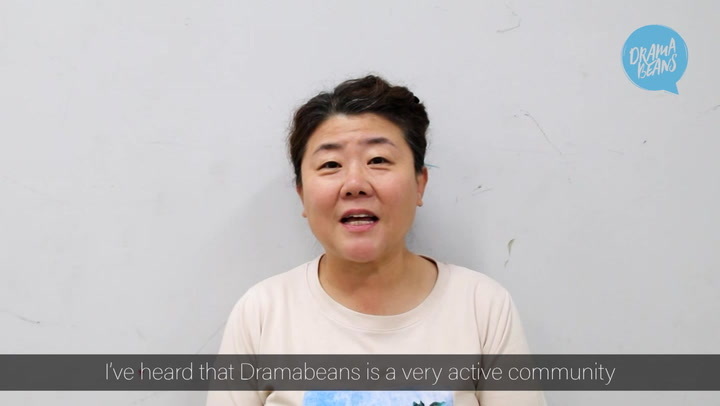 Her mother's comments about supporting them make me squirm in anger - if not in the modern way (singing) then do it through the traditional one (marry a chaebol). And is it just me or is her father shown as an alcoholic? That to me seems like makjang tropes, and is far from the actual history. (see the article link @shach posted in comment 3 above). The drama did her family dirty, I think, in order to make the parallels between Woo Jin and Shim Deuk stronger. Something that caught my attention in this mini-drama is the focus here on a group of elite people who were stuck in between Japanese and Korean culture. It reminds me of Kim Hee Sung in MR. SUNSHINE. These were people who had no love for Japanese occupation but had the benefit of education in Japan. They did not or could not become freedom fighters like those in MR. SUNSHINE, but they tried to do their best at a) surviving b) salvaging what was good of Joseon culture and opening it up to the rest of the world. They felt as outsiders to their own country because they were well-traveled and educated. This theme of the drama is something I can relate to much more than "forbidden love". @wishfultoki, yes they sacrificed her story for the romance, which is sad for me, because it's another lost opportunity to tell story about incredible woman. Ironically, given that this drama focus a lot on LSJ character, headlines from 1926 were like this: "Singer Yun Shim-deok Commits Suicide with Young Writer." And she was the author of the lyrics of Hymn of Death, but somehow her life is trivialized into cliched melodrama. And thank you so much for pointing out @shach's link to that dandy article on Shim-deok's amazing family. I've done some of my own genealogical research, and have been inspired by the unconventional, gutsy things done by my ancestors, especially on the distaff side. I've only been reading the recaps, so haven't seen Ahn Nae-san's portrayal of Shim-deok's father. But it wouldn't surprise me if alcoholism were in the picture. OTOH, one of the tropes I detest the most is that of immature, financially-incompetent parents bleeding their offspring dry. Grrr. It sounds as if the story were jazzed up with lame BS, despite the fact that it was amazing enough as it was. Perhaps an account of two people whose thinking was too far ahead of their still-conservative times would have upset a large segment of the viewing audience. Perhaps shifting the emphasis from their being out of step with their hidebound society to their modern, forbidden romance was supposed to make it more appealing. I agree that it sold the real story -- Shim-deok's in particular -- very short. The focus is on Woo-jin's existential despair, while the soprano got the short end of the stick. At least in real life she was able to make a bunch of recordings, and wrote her own lyrics for "Hymn of Death." And the beat goes on. Given the popularity of Kpop, you'd think that the story of the first Korean diva to make records would have been a big deal. re: your question as to whether Shim-deok's father is an alcoholic, I got the impression that he has tuberculosis or some other respiratory ailment. He coughed in his first scene, and did so even more in the second. In the final episode, he called for makgeolli as everyone else argued. I didn't think that necessarily meant that he was a drunkard, but maybe I missed something. @pakalanapikake That is also possible as there was a tuberculosis epidemic in the 1920s in Japan - I imagine also in Korea. Whoops I got mixed up with the influenza pandemic of 1918-1918! Either way TB was a prevalent disease. That's an interesting article you linked. The tuberculosis death rate seemed to drop -- only because TB patients died of flu and other causes. I don't think Shim-deok's father had influenza -- he would have been bedridden. I think chronic tuberculosis is more likely. Poor, malnourished people worldwide have been afflicted with it since time out of mind. Re: "Spanish flu": My grandfather managed to survive the epidemic at US Army Camp Taylor in Louisville, Kentucky where he was training for the field artillery. Corpses were stacked like cordwood. There was no room inside the hospital, so he was put out on a verandah in the fresh air, which he credited with his recovery. The flu must have somehow revved up his immune system because he survived colon cancer and lived to 102. He never made it "over there." Flu killed more US soldiers than did WWI fighting. A devil's brew of communicable diseases developed in the trenches, and were brought back home with returning troops -- including the more virulent form of flu. Flu: The Story Of The Great Influenza Pandemic of 1918 and the Search for the Virus that Caused It. That was where I first read that the flu apparently triggered "cytokine storms" (exaggerated immune response) in people who had apparently had an earlier, less-virulent case about 20 years previously. The number of deaths was so astronomical that it temporarily dropped US life expectancy in 1918 to 39 years from 51. Shocking. The wardrobe department has outdone itself! I want all of her clothes!!! I loved her all her clothes too! So elegant and there was hardly any that I felt was jarring. Both actors did a great job. I was so caught up by the story that I forgot about the the very first scene, so the last scene caught me by surprise. I'm all agree with all your comments. I'm just love LJS acting in here, the way he holds back the forbidden love. Just love it. My heart squeeze so hard, it makes me hard to breath.